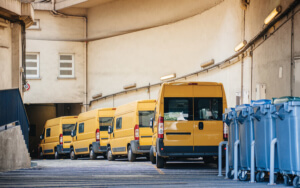 Commercial Auto Insurance in Olympia - All Insurance, Inc.
We know filings can be confusing but they are critical to running your business. That’s why we’ve partnered with companies like Progressive who offers commercial truck insurance state and federal filings assistance. An insurance filing is a guarantee to the government that you have sufficient truck insurance protection for your vehicle. We also have many other companies who make the filing process easy. Talk to an agent today about insuring your commercial auto vehicle. Call All Insurance, Inc. today to discuss your commercial auto insurance needs. Their locally owned insurance agency in Lacey, WA knows all the ins and outs of insuring your commercial auto in Olympia.